Check out these articles and resources validating our take on employee and customer engagement. Is your organization doing all it can to holistically engage? 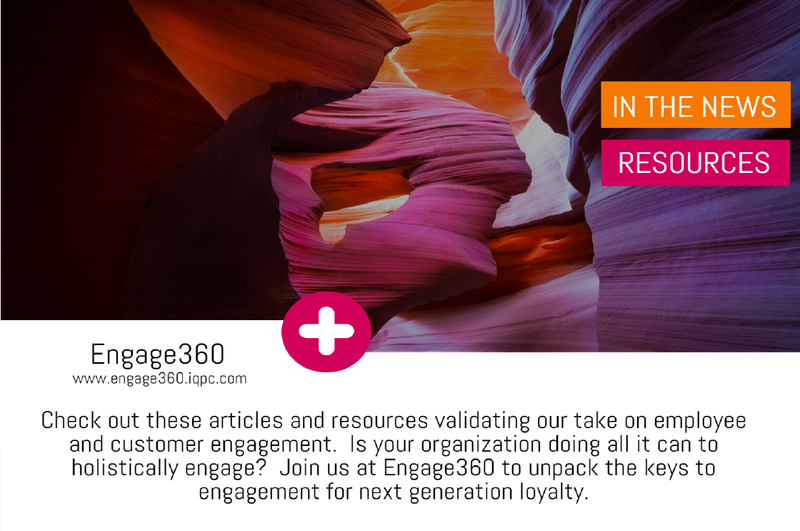 Join us at Engage360 to unpack the keys to engagement for next generation loyalty.